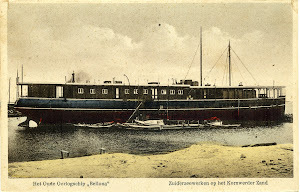 Building ordered on 15 October 1914, laid down by Germaniawerft, Kiel, Germany with yard number 245 on 30 November 1914, launched in April 1915, commissioned on 6 May 1915, to be handed over to Bulgaria bur lost after 27 September 1916 underway from Varna, Bulgaria towards Sevastopol, Russia before delivery could be executed. Submarines of this type served in the German (UB-1 class), Austro-Hungarian (U-10 class) and Bulgarian navies. Preceded by the UA and succeeded by the UB II class (SM-18-SM-47).